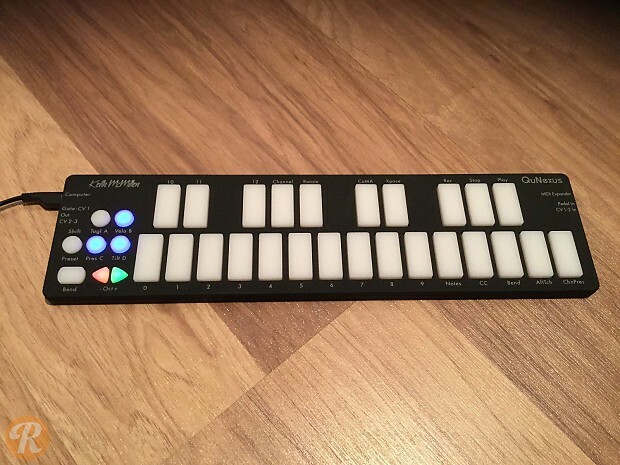 A compact, innovative MIDI controller, the Keith McMillen QuNexus takes velocity sensitive pads with rocking motion for an additional axis of input and arranges them in a keyboard layout. Equally capable of parameter modulation, drum programming and melodic input, the QuNexus can control any type of electronic instrument. And with MIDI, USB and CV outputs it can interface as easily with vintage hardware as it can modern computer workstations.